Why Do You Have To Make Me Fall When You're Not Going To Catch Me? Why do you have to make me fall when you're not going to catch me? 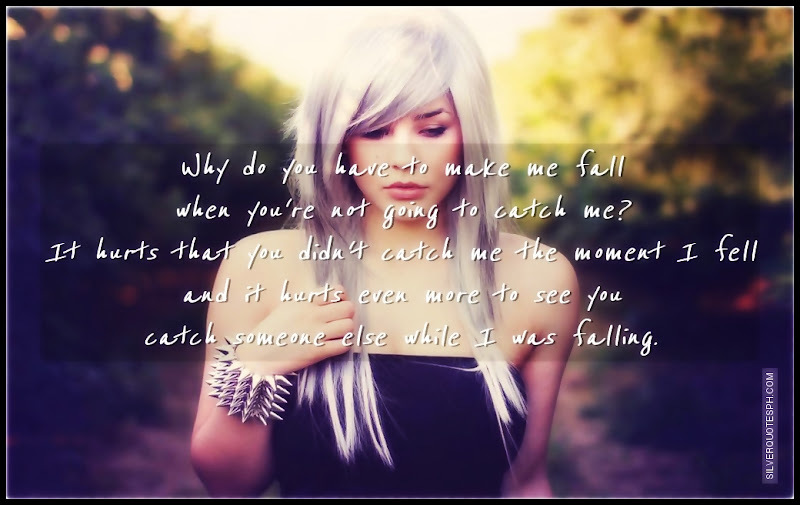 It hurts that you didn't catch me the moment I fell and it hurts even more to see you catch someone else while I was falling.